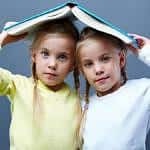 Twins in School: Should Twins be Separated? New research looks at separation of twins in school to find out whether or not separating them has a positive or negative educational outcome. Are you thinking about your twins in school and whether or not they should share the same classroom? New research published in July 2018 looks at classroom separation and how it affects twins achievements at school. The study was published in Developmental Psychology. Developmental Psychology is a journal published by the American Psychological Association. The study looked at positive or negative effects of classroom separation, and whether or not twins taught in different classes are more different from each other than twins taught in the same class. Twins from Canada and the United Kingdom participated in the study. The researchers looked at academic achievement, several cognitive abilities and motivational measures. The children were evaluated between the ages of 7 to 16 years. The results showed that there was very limited positive or negative effect of classroom separation on twins’ achievement, cognitive ability and motivation. 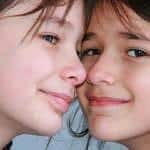 Canadian twins at age 12 and British twins at age 16 were slightly more similar on achievement if placed in the same classroom, with slightly greater similarity among monozygotic twins than dizygotic twins. Monozygotic twins are identical twins, and dizygotic twins are fraternal. The researchers stressed that the few effects found were weak. It remains unclear whether they result from classroom separation or other factors. The researchers recommend that policymakers should not impose rigid guidelines to separate twins in school. The choice of whether to educate twins together or separately should be up to parents, twins and teachers, in response to the children’s individual needs.